The project site was an commercial waste site that the community desired to restore. 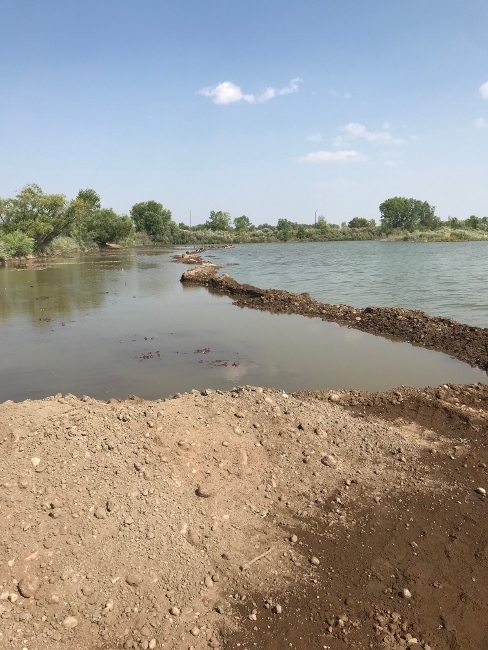 Project goals included habitat restoration, wetland connectivity with the Cache la Poudre River and flood resilience. Revegetation on sites with heavy resident waterfowl can be extremely challenging. 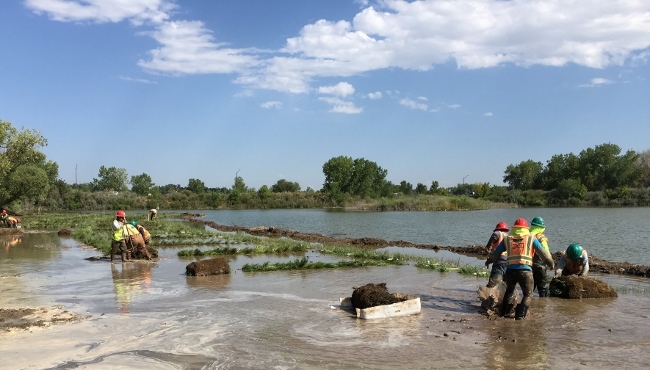 603 Wetland Sod mats and over 10,000 plugs were custom grown from site sourced seed and installed around Gadwall Pond to successfully restore the pond of this beautiful natural area. 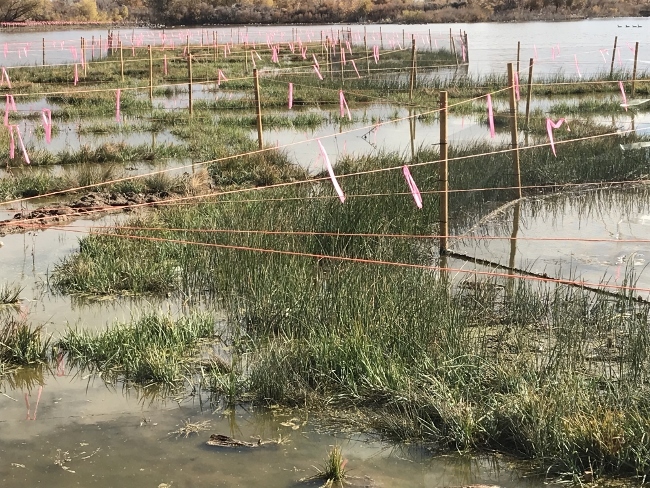 Staking on-site around the Wetland Sod is to help prevent waterfowl damage.